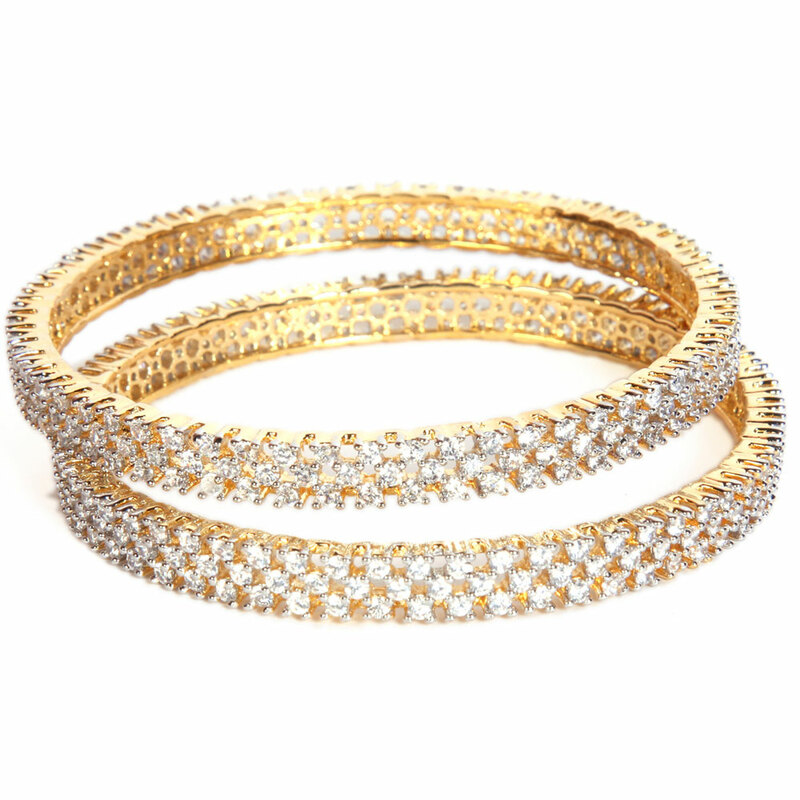 On the bottom area unit decorated dazzling white CZ stones in a particularly straightforward formation adding to the gorgeous look and swish charm of the bangles. This pair of party wear bangles supports a simple base crafted from the base metal of brass covered with a thin layer of gold plating. Read More..On the base are studded dazzling white CZ stones in an extremely simple formation adding to the beautiful look and graceful appeal of the bangles. Show Less..